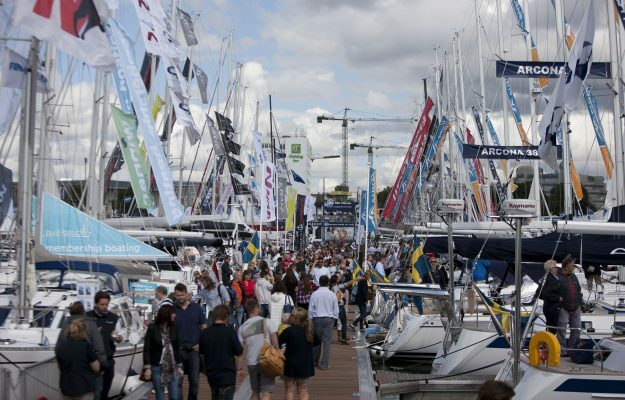 You are here:Home » Category: "Boat Show"
Yachting Boating World: Premier Marinas gets set for two shows in one as it hosts its annual Used Boat Show at Swanwick Marina running it alongside the Southampton Boat Show, between 16th – 25th September. Now in its 37th year the Used Boat Show is set to feature extensive on and off water displays of power and sail boats from onsite brokerages, Ancasta International Boat Sales, Clipper Marine, Fleming Yachts, Princess Motor Yachts, Sea Ventures and Sunseeker Southampton. Ancasta International Boat Sales’ line-up will include a used Princess V56 and Nimbus 43 Nova, an Oceanis 50 and Bavaria 42 Virtess Fly, plus an Aquastar 45, alongside over thirty other quality yachts. 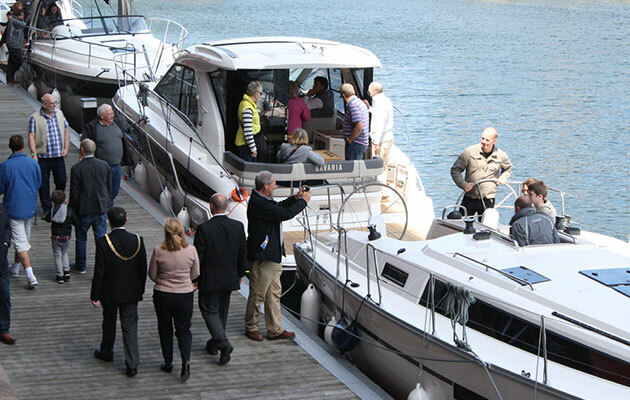 Open daily from 10am – 6pm, visitors will also be able to take advantage of Premier’s Park and Ride service offer to Southampton Boat Show when booked in advance. Besides a complimentary ticket to the show the offer includes free parking at Swanwick Marina and a return coach journey to the Southampton show – all for the price of £13 per adult or £32 for a family ticket, which includes two adults and up to four children. 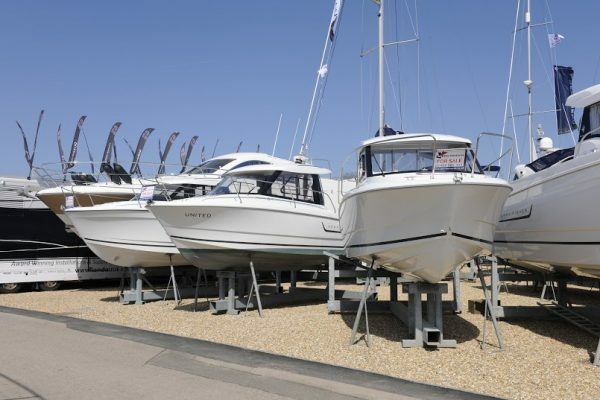 So whether you’re thinking of selling or buying a used yacht or motor boat, this show is one of the most established and successful used boat shows on the South Coast. To register your interest for a Park & Ride ticket call your local Premier Marina or visit www.premiermarinas.com for more details. Tickets will go on sale early August. Yachting Boating World: New river and mooring conditions are being introduced at the Henley Festival this year to prevent overcrowding on the River Thames. Boaters attending this year’s Henley Festival are being warned of new rules for the mooring of vessels. Organisers were asked by the Environment Agency to update the regulations following concerns about safety as the event increases in popularity. The festival is being held between 6-10 July 2016 at Henley-on-Thames. Owners will, once again, be able to moor against the booms, which are left in place following the Henley Royal Regatta, which finishes on 3 July. In a joint statement, Henley Royal Regatta and the Environment Agency said the changes were necessary for navigational as well as safety reasons. winds or if there is a strong current in the river,” the statement said. boat occupants getting injured,” it stated. 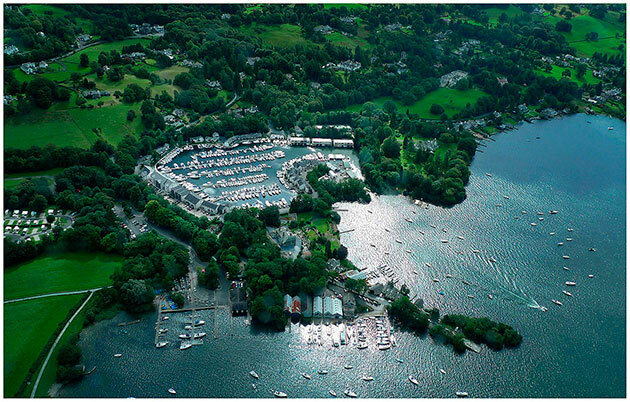 Only boats which have paid a mooring fee are allowed in the enclosed festival mooring area this year. They have to be in their allocated position by 8pm, when the booms will be closed for safety reasons. These will be reopened 10 minutes after the end of the firework show. Boats are also bared from double mooring. boat owner or not,” said the festival on its website. down the river on the navigation channel. “Dropping anchor is not permitted and the Environment Agency will move you on,” warn festival organisers. 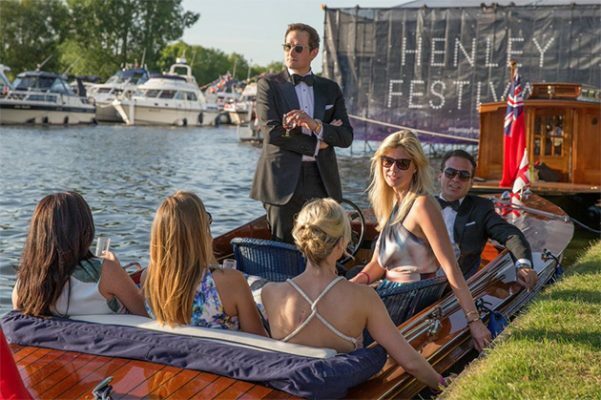 Enforcement officers with the Environment Agency will be carrying out regular patrols during the Henley Festival to make sure boats owners comply with the rules. “If people respect them and they work well this year, then Henley Royal Regatta will be happy for boaters to moor against their booms again next year, and so will we. If not, we both might have to look at alternative arrangements,” added the harbourmaster. More information is available from the festival website. Yachting Boating World: The new Fairline Yachts Targa 53 OPEN will debut at Cannes Boat Show on 6 September 2016. The latest addition to the Fairline Yachts family, the Targa 53 OPEN has been designed to maximise natural light, adding brightness to the spacious master cabin, galley and saloon below. The cockpit boasts a large three person sun bed over the tender garage, generous ‘U’ shaped cockpit seating with a wet bar opposite and roomy companion seating across from the helm. Owners can choose between a two or three cabin configuration, according to their needs. The Targa 53 OPEN offers a choice of three shaft driven engine options: two from Volvo and one from Caterpillar, offering a minimum fully loaded speed in excess of 30 knots and a range of at least 300 nautical miles is expected. There will also be the option to add stabilisation, with a choice of either fin or gyroscopic stabilisers. The Targa 53 OPEN will debut at the Cannes Boat Show, France on Tuesday 6 September 2016 and it will premiere in the UK at the Southampton Boat Show on Friday 16 September 2016. 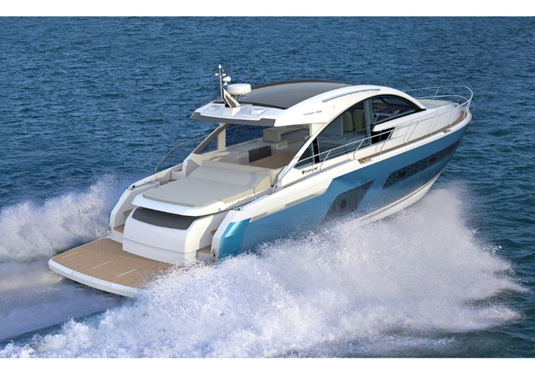 Motorboat & Yachting: The second annual London Yacht, Jet & Prestige Car Show has reported an 8% increase in attendance. London’s newest boat show has gone from strength to strength, with sunny conditions, an impressive line-up of exhibitors and a steady flow of visitors. 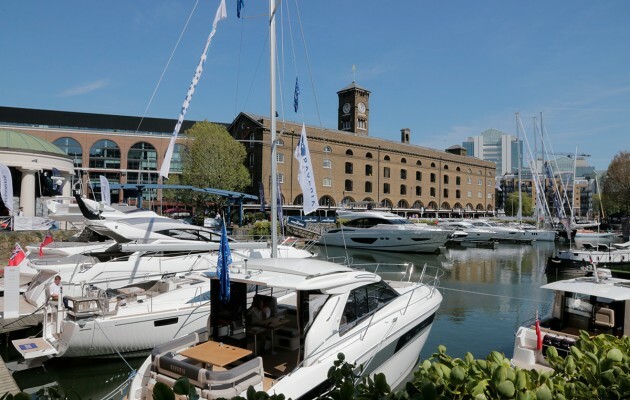 For the second year running, the London Yacht Jet & Prestige Car Show was spread across two venues – Old Billingsgate Market and St Katharine Docks, which hosted the London On-Water Yacht & Boat Show from May 4-7. A total of 6,500 visitors attended each event according to the organisers, marking an 8% increase on the 2015 event. David Suchet (pictured right) was the special guest on day one of the show, cutting the ribbon at Old Billingsgate Market. The Poirot actor attended last year’s inaugural event and bought an XO270 from Wessex Marine. This year he returned with his wife Sheila to add a touch of stardust to proceedings, and their 300hp motorboat went on display in the St Katharine Docks area of the show. Sunseeker made their first appearance at the on-water section of the show, with the award-winning Predator 57 and 68 Sport Yacht both available for viewing. William Burns, brokerage director at Sunseeker London, said: “We heard good things from last year, it’s a good place to have the boats and the weather came out as well, so it makes perfect sense. Fairline Yachts was also strongly represented, with a Targa 38 and Squadron 42 on display through brokers Bates Wharf and Burton Waters. Princess Motor Yacht Sales once again brought the largest vessel to the show in the form of the S72, while the deck saloon version of the V58 made its public debut. Glider Yachts looked to be one of the biggest talking points of the show, with the radical SS18 set to be unveiled at the show. However, technical difficulties with the support vessel hampered its journey up from Burgess Marine and after missing the deadline for loading into St Katharine Docks, the new firm had to make do without its showpiece prototype. Instead, managing director Rob McCall was on hand to answer questions about the project. “The quality of enquiries really exceeded our expectations – this show was the perfect way to introduce our exciting new product to the discerning yacht buyer,” he said. He added that the vessel will make its public debut in September at this year’s Monaco Yacht Show. Spirit Yachts also increased their presence this year, with a P40 Coupe moored up alongside Soufriere, the Spirit 54 that was used to film 2006 James Bond film Casino Royale. Nigel Stuart, managing director of Spirit Yachts, said: “This show has huge potential, because it attracts people from the centre of London and we are able to show them what we make. “By bringing two boats to the water this year, they can come and see us, touch us, feel us, and that’s what we’re really about. Other notable models on display included the Bavaria Sport 400, Beneteau GT49, Nimbus 305 Coupe, Axopar 28, Jeanneau NC9, Sealine C330 and S330. Whilst some of these models were used boats, a planned brokerage section in conjunction with YachtWorld failed to materialise, as exhibitors prioritised the promotion of new models. Camper & Nicholsons Marinas used the event to explain more details of its refurbishment of St Katharine Docks. The project is expected to take less than nine months and will include replacing all of the pontoons. Over at Old Billingsgate Market, all of the largest names in the superyacht world were represented with indoor stands and scale models. These included Azimut-Benetti, Lurssen, Blohm + Voss and Amels. There was also a strong presence from the luxury goods brands, with Goldfinch displaying its Sygnet superyacht piano and Ulysse Nardin once again a key sponsor. The 2017 London Yacht, Jet & Prestige Car Show will take place in July, with exact dates to be confirmed. Motorboat & Yachting: The capital’s newest boat show has returned for a second year, with an impressive fleet on display at the 2016 London On-Water Yacht & Boat Show. The London On-Water Yacht & Boat Show kicked off this week with sunny weather ensuring a steady flow of visitors to St Katharine Docks. The four-day event runs until Saturday May 7 in partnership with the London Yacht, Jet & Prestige Car Show at Old Billingsgate Market. Now in its second year, the show has boosted its exhibitor list with Axopar, Fairline and Sealine among the numerous brands that have been added since the inaugural event. And this year’s event got a sprinkling of stardust, as Poirot actor David Suchet was on hand to cut the ribbon on the opening day. However, it is Princess Motor Yacht Sales who have once again made the biggest impression, with three models on display, including the public debut of the new deck saloon version of the Princess V58. Sadly Glider Yachts was unable to deliver its SS18 in time for the show, but managing director Rob McCall insists that the prototype will be heading to this year’s Monaco Yacht Show instead. Yachting Monthly: The Northern Boat Show in Liverpool will be held from 3 to 5 June 2016, coinciding with the International Mersey River Festival. The Northern Boat Show in Liverpool will be held from 3 to 5 June 2016, coinciding with the International Mersey River Festival.The three-day boat show will host over 70 boats from many popular boat brands including Parker, X-Yachts, Bavaria, Hanse, Beneteau, Dufour and Jeanneau. New for 2016 will be displays of inland water boats and ancillary products, systems and services. In recognition of the UK professional wakeboard tour joining the International Mersey River Festival there will also be a range of sports boats on display from Mastercraft and Axis. You will see some of the top athletes compete in Salthouse Dock using floating jumps and ramps to perform heart-stopping tricks right in the middle of the armada of boats on show. Visitors can also have a taster sail on two traditional boats from Character Boats. The Northern Boat Show will cover every aspect of the leisure marine industry from boat builders, sail makers, marinas, holidays, chandlers and engine manufacturers to marine finance, clothing specialists and navigation equipment. The International Boatbuilding Training College is showcasing one of the boats built on their courses and sail maker, Jeckells, will be there to showcase their sails, Adidas Sailing clothing displaying its new range, as well as Volvo motors, one the leading outboard motor manufacturer in the world. The Show will be free to all Festival visitors and serious boat owners will be able to buy premium tickets to give them exclusive access to the specialist areas. Early Bird tickets for pontoon access to the boats are just £5 per day or £8 on the bought on the day.